LT Auditor+ 2013 delivers exactly what you need to audit user activity across Windows, Linux, SQL Server, SharePoint, Files and Folders, and Event logs. Alerts can be customized to notify you of any suspicious activity and, most importantly, document such activity for investigation and compliance audits. Our solutions are preconfigured to automatically collect pertinent and required information security audit data and present it in easy-to-read auditor and examiner friendly reports for FFIEC, GLBA, HIPAA, NIST, PCI DSS, and SOX regulatory compliance. LT Auditor+ 2013 provides executive summary reports, with drill-down capability detailing administrative and user activity about files, folders and users on servers. Reports may be scheduled for automatic distribution to administrative personnel at desired intervals. LT Auditor+ 2013 has built-in scalability and fault tolerance capabilities to prevent audit data loss and ensures the consolidation of audit data from servers, devices and applications within an organization. 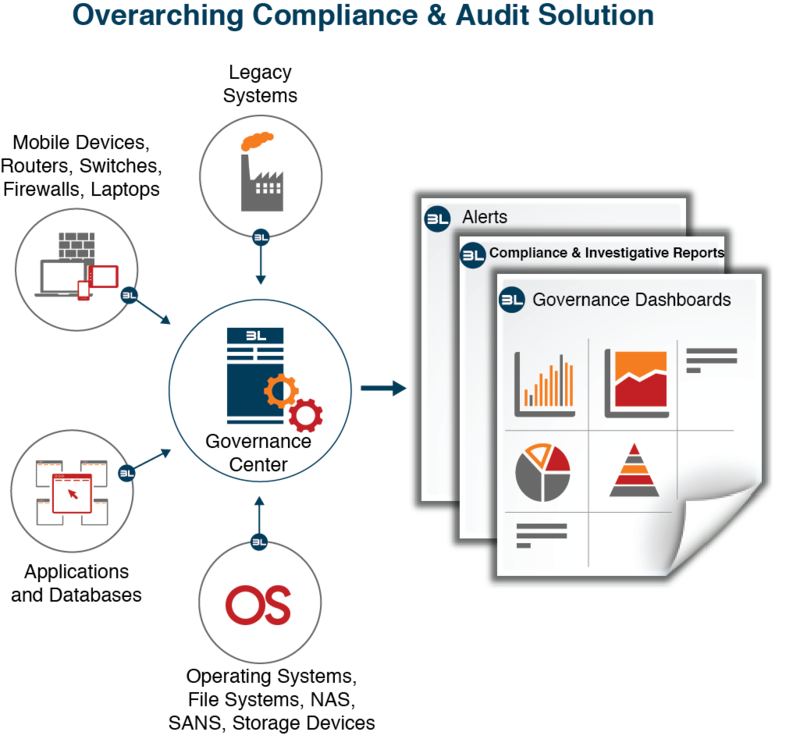 LT Auditor+ 2013 ensures authenticity and reliability as audit data is transferred via encrypted channels from audited servers, workstations, devices and applications into a single, secure repository, which provides accurate compliance reports on-demand. LT Auditor+ 2013 provides the intelligence required to assess and audit user and administrative activity in accordance with organizational policies to demonstrate compliance with regulations and guidelines such as FISMA, GLBA, Sarbanes-Oxley, HIPAA and FFIEC.